What a creative way to share the Gospel! 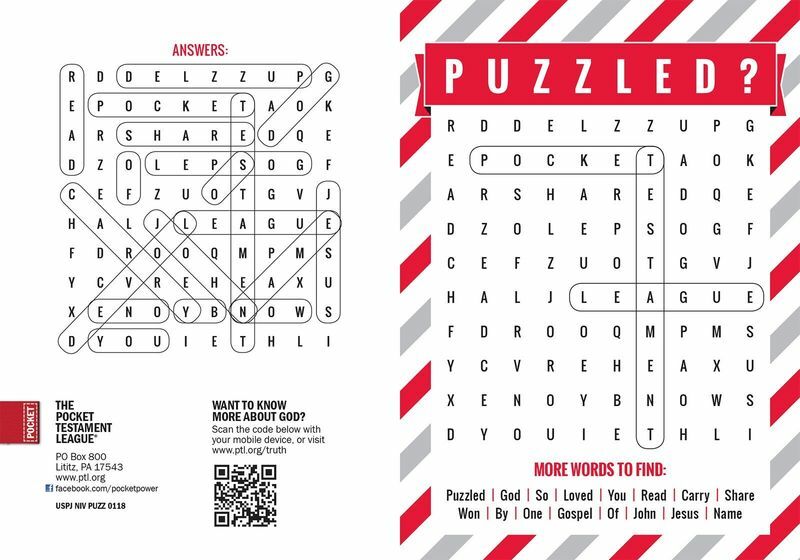 This unique puzzle cover design (with large print 13.5 pt NIV pages) offers a great conversation starter as you go about your day. Sitting on the bus or airplane, in a waiting room, or even people watching, this Gospel will gain attention.